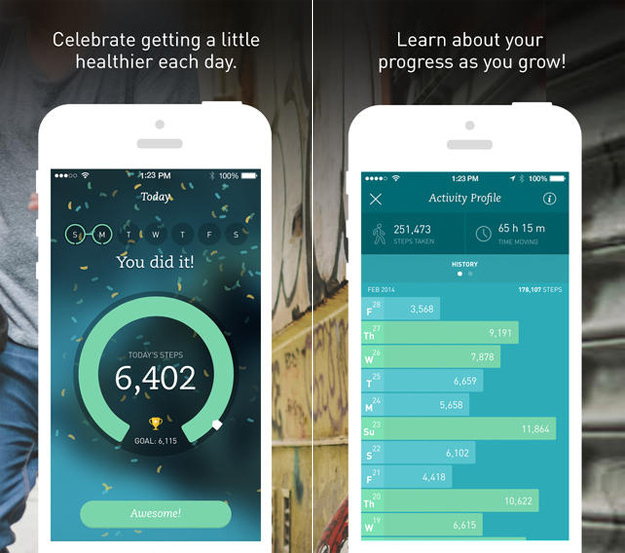 Welcome to the third edition of our ongoing series covering gorgeous iPhone apps. With well over 1 million apps in Apple’s App Store, it’s becoming more and more difficult each day to sift though the junk and find apps that are really a cut above the rest. But don’t worry, that’s why we’re here. are functional. Some favorites include Gist, Radium and Harmony from our first post, and Crossfader from our second. 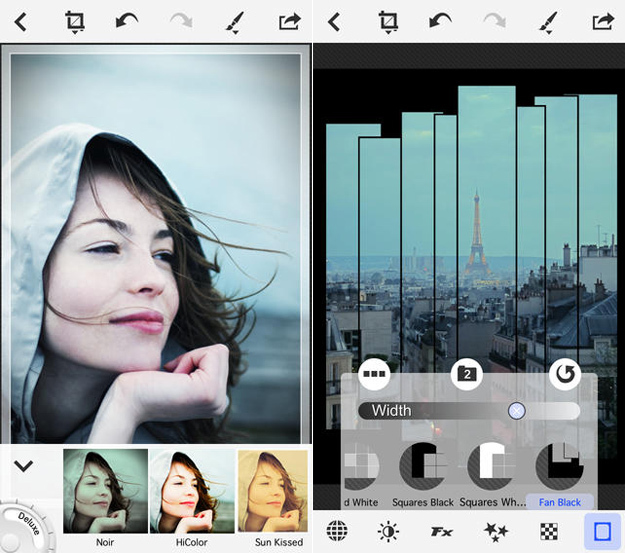 Now, it’s time for another five gorgeous iPhone apps. We’ve got some great picks for you this time around, but of course there are plenty more to cover. Do you know of some beautiful and functional iPhone apps that we haven’t covered yet? Be sure to let us know about them in the comments section here, or drop me a note on Twitter. It’s rare to come across an app that is truly an original, but Tiny Planet definitely fits the bill. Created by the team at Infoding.com, Tiny Planet uses a “magical effect” to take any photo you capture and transform it into… you guessed it… a tiny planet. The app creates a tiny sphere at the center of the frame using a unique effect. As long as you use a good source image, the end result looks like a small planet floating in the middle of space. 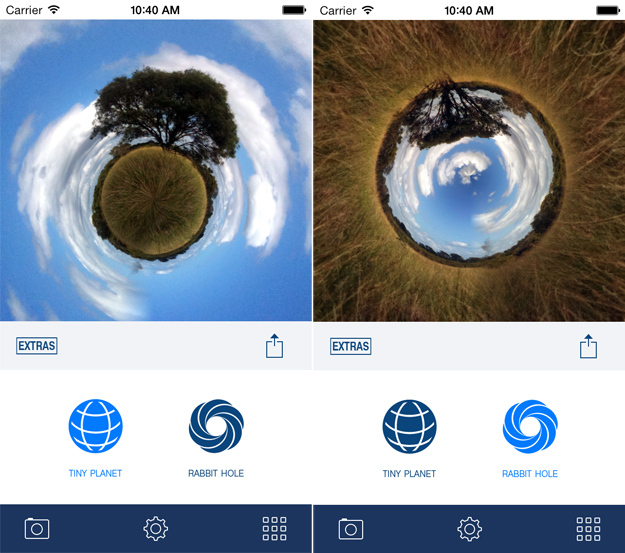 There is also an option in Tiny Planet to create the opposite effect, which the developers refer to as a “Tiny Tube.” The result, which can be seen above in the screenshot on the right, places space in the center of the image with the planet surrounding it. And of course, no creative photo editing app would be complete without a simple way to share your masterpieces with the world, so sharing via Facebook, Instagram, Twitter and more is built right in. Tiny Planet is a $0.99 download from the App Store (via App.itize.us). Some people love the completely redesigned calendar app in iOS 7. Other people really, really hate it. There are plenty of solid options for the many users who fall into the second category. We even covered one of them — Peek — in an earlier installment of this series. Another terrific option is UpTo Calendar. 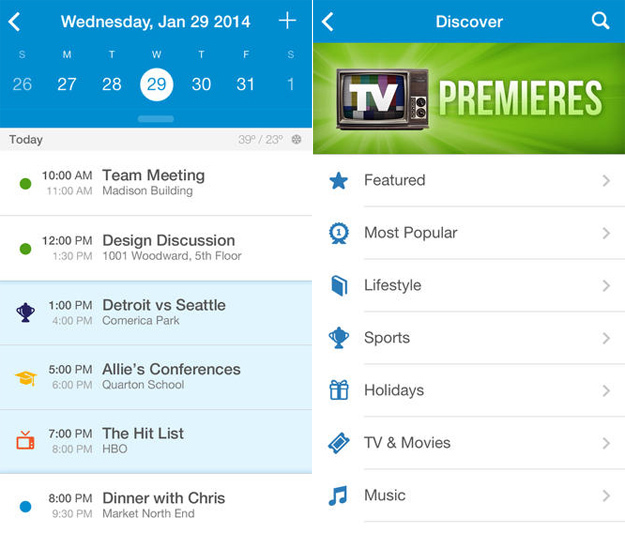 If Apple’s iOS 7 calendar and HTC’s Sense 6 calendar had a love child, it would be Rock City Apps’ UpTo Calendar app. UpTo takes the best of both worlds and mixes in a discovery feature that gives users access to thousands of publicly available calendars. So, for example, UpTo can display your local iPhone calendars, Google calendars and your iCloud calendar, and it can also show you when your favorite TV shows are on or upcoming games scheduled for whichever teams you follow. Facebook Events are supported as well. UpTo Calendar is free in the App Store. With all of the free photo editors out there, it’s rare when you come across one worth paying for. But PhotoToaster is definitely an app worth paying for. East Coast Pixels’ PhotoToaster app can’t replace each and every iPhone photo editor out there, of course, but it could easily be the only photo editor you ever bother using. The app is truly a rarity in that it finds a way to offer simple one-click effects for casual users as well as complex fine-tuning for advanced users under the same roof. And somehow, the app isn’t cluttered or confusing at all. PhotoToaster is $2.99 in the App Store and for those seeking out a one-stop-shop for all your photo editing needs, it’s worth every penny. 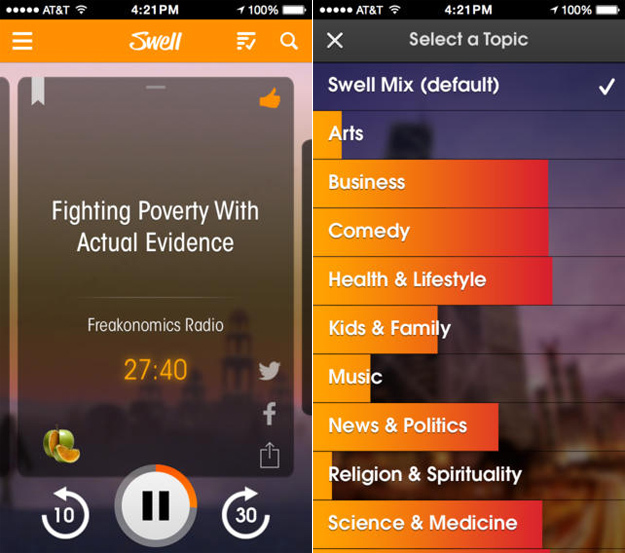 The simplest way to describe Swell is this: It’s Pandora for podcasts and online news radio. There are thousands of great sources for audio news and podcasts out there, so the odds are pretty good that you’re missing plenty of great content that you would thoroughly enjoy. Swell does its best to introduce you to some of that great content with minimal effort on your part. Swell Radio lets you listen to personalized audio news and information for free from your mobile device. Enjoy quick and easy access to unlimited streaming audio from iTunes, NPR, ABC, ESPN, BBC, CBC, TED and more! Content is programmed for the US and Canada at this time. Let Swell personalize your audio experience so you can lean back and enjoy the content you’re interested in. How does it work? Listen to what Swell plays. If you like it, keep listening; if not, just swipe to move on. Swell learns what you like as you go and will continue to deliver the content most relevant to you. Swell is a free download from the App Store. The iPhone 5s has a great M7 motion co-processor that monitors your movements in order to track steps. Of course, it’s only useful right now if you have a third-party app to aggregate the step data that Apple’s M7 collects. There are several solid options out there, but Breeze could very well be the sleekest and most simple of them all. Breeze features a fantastic minimalist interface and an Activity Profile feature that helps users track progress over time. It also can issue push notifications when you reach certain milestones, as long as you leave the app running in the background. And the best part? Breeze is completely free in Apple’s App Store.